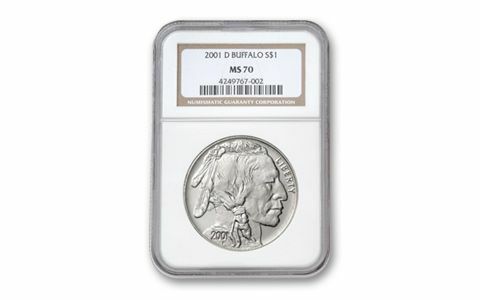 These first-ever large Buffalo Silver Dollars are inspired by the Buffalo Nickel struck from 1913 to 1938-certainly one of the most widely collected coins in the United States. 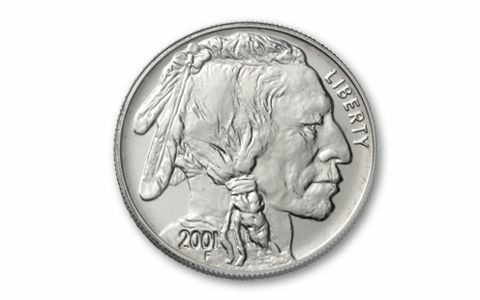 The design for the Silver Dollar is exactly the same! Collectors rushed to buy them in 2001-they sold out in just 15 days! 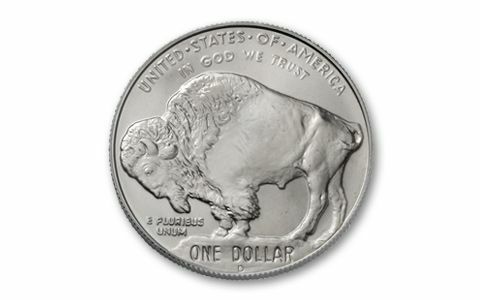 This is the coin that inspired the U.S. Mint's current Gold Buffalo coin series. 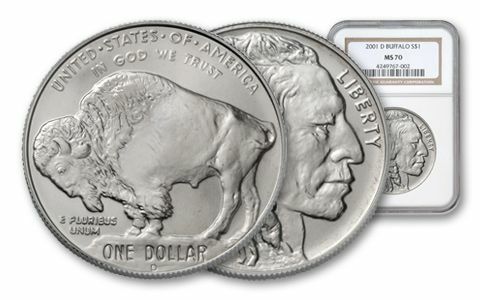 Key first and one-year-only issue, certified by NGC or PCGS.